Some time ago I had the opportunity to play on a real “Burst”, a 1960 Les Paul Standard. You will probably know that Les Paul Standards between 1958 and 1960 are something like the ‘Holy Grai’l for guitar players and collectors, with prices ranging over $ 200,000. (And yes, Mark Knopfler has even two of these!) As you might guess from the surrounding in the video, the guitar belongs to the same collector as Mark Knopfler’s sunburst Schecter Strat, or the blue 1961 Stratocaster I played in one of the last videos. Only about 1,700 of these were made (possibly 434 in 1958, 643 in 1959, and 635 in 1960). After that the model was discontinued because it failed commercially, as it was too conventional looking for Rock’n’Roll players who prefered Fender solid-body guitars, and not conventional enough for jazz players who prefered Gibson arch top guitars. It was some years later when players like Eric Clapton or Peter Green made the model famous and sought-after again when they played these guitars and showed them on their albums (e.g. a probably 1960 Les Paul on the Bluesbrakers album). So these Les Paul became something like the first vintage guitars. Gibson made Les Pauls again starting in 1968 but these had some different specs than the old sunburst Standards. Early 1960 Les Pauls are almost identical to the 1959 model, however, later in 1960 the neck became flatter, and the red colour that is known to fade when exposed to sunlight was replaced with a more resistant and darker red dye. This is probably the most important question everyone asks himself. Is such a guitar really worth all the money? The answer is surely “no” as it costs more than 50 times as much as a good replica with original features, and the sound cannot be 50 times better. 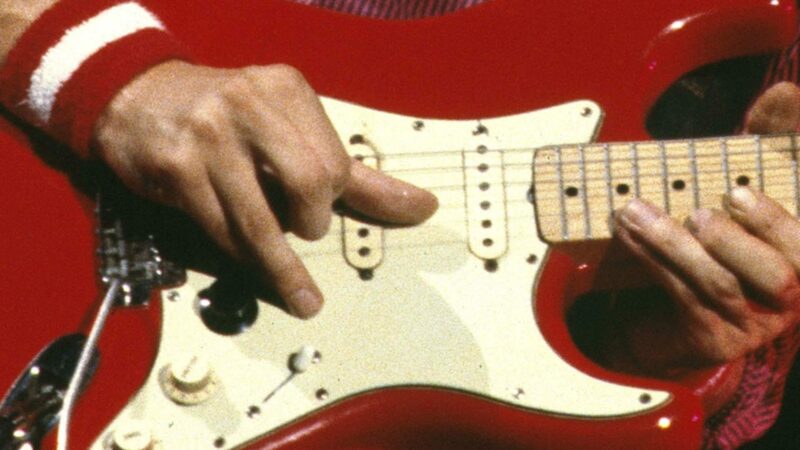 Still, those old guitars have a magic that the new ones don’t have, and the sound also might have some details thatmake it different from newer ones (apart from the simple fact that each guitar is an individual piece and sounds different than any other), so the question is rtaher how much you think these little details are worth for you. And it is all a matter of taste so you might like some new ones really better. I recorded some minutes of video, and I recorded some sound samples directly into my recorder so that I can compare the guitar to any other later. This first video has the directly recorded sound which I reamped with a software amp. In the second video the guitar was played over a Tone King Metropolitan amp and was recorded with the camera mic. Obviously these do not like the volume typically produced by a guitar amp and thus heavily compress dynamics or cause distortion. And here I finally compared it to my own 1974 Les Paul Custom. I recorded my guitar into the same recorder, and reamped it with the same software amp, all settings 100% identical. The Custom has an ebony fingerboard instead one of Brazilian rosewood, and some other construction details are different so it will never sound the same. My guitar is equipped with Haeussel 1959 pickups so you can listen yourself to how these compare to the original PAF pickups. That is funny (but also nice to hear). For me it is often that when the ‘real’ thing sounds different, it automatically sounds ‘better’ (as it defines the standard how a Les Paul should sound like, so to say). In fact that Les Paul sounded great even unplugged but I agree that the Haeussels are extremely good in catching that clarity and the ‘wooden, silky’ treble. The custom definitely sounds slightly brighter (due to the ebony board)…. I beg to differ. The burst has more clarity because it has a tighter bass and a better mid range response and clarity is all about midrange if you ask me. The 74 Custom has that typical boomy bottom end and generally scooped midrange that made those guitars close to unusable with their original pickups. The Häussels take care of most of that but even those can not make up for everything the 70s Les Pauls are lacking 😉 And as good as those Häussels are, they do capture the top end and the focused bass of a PAF well. But they lack the midrange honk you want from a good PAF. You can also hear the overtones being louder on the Burst, even when played clean like in these samples. When played through a cranked Marshall those become the “double tone” those 50s Les Pauls are famous for. It sounds a bit like you are playing with a chorus and is due to the first harmonics beeing nearly as loud as the fundamentals. The 74 Custom has no trace of it and I bet it sounds not really great with a cranked Marshall.